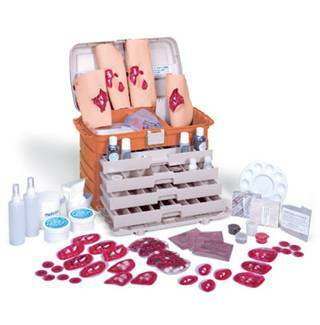 Safe Option Solutions can provide a wide range of Training Aids including Moulage Kit for all your requirements. Click on the kits below to print the information sheets. 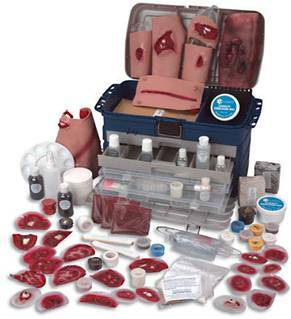 A comprehensive selection of casualty simulations including such realistic bleeding strap-on and stick-on wounds and injuries as compound extremity fractures, various burns, puncture wounds, eviscerations, lacerations, fractures, flesh wounds, fragment wounds, and foreign body protrusions. 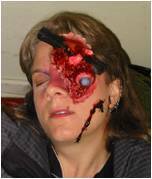 Simulation make-up, accessories, and makeup tools are provided for staging “victims” to appear to be in shock or pain, traumatized, lacerated, burned, bleeding, and/or dirty. 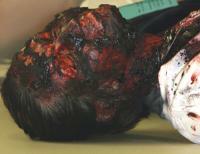 Bleeding wounds have plastic reservoir pump assemblies to ensure a continuous lifelike flow of simulated blood. All components come in a carrying case with drawers and compartments. An assortment of cotton balls, cotton applicators/swab sticks, tongue depressors, tissues, makeup sponges, and spatulas are also included in kit. Size: 22" x 13" x 15". Three-year warranty. 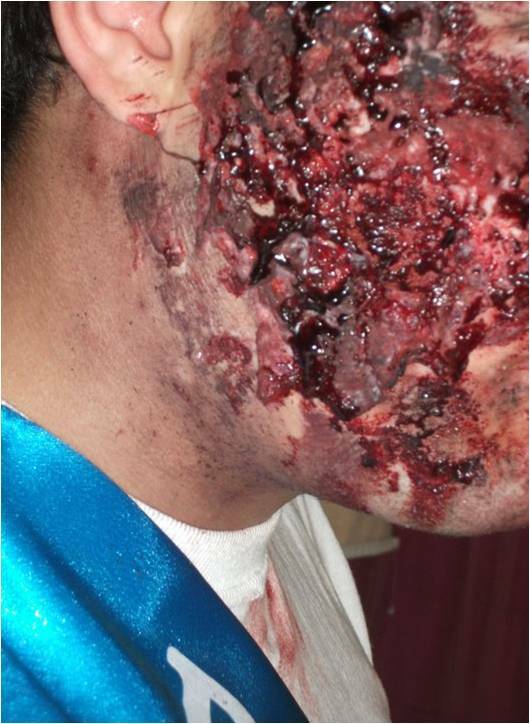 The full line of accessories allows you to create 70 individual wounds, plus use your make-up expertise to create realism in your evolutions. Packaged in a sturdy carry case, the kit also contains instructions. 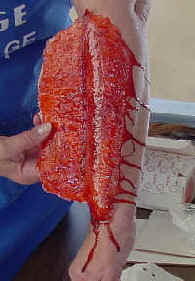 Size: 22" x 13" x 15". Three-year warranty. More versatile than the basic kit, this unit gives you more complex wounds for testing higher levels of skill in bandaging and patient care. 21" x 12" x 10".